What do you think of when you hear of card games; specifically trading card games? You’d probably think of words like fun, metas, competitive, booster packs/boxes, expensive, etc. Well how about life or death? Fate of the world? Lose your soul? Well if you watch anime, things like this are just the norm. Only in anime do card games get real (devinreal?). This post summarizes card games in anime. To get their wish granted. The second reason isn’t as ridiculous, since wanting to have your wish granted is something extremely common, not just in anime either. 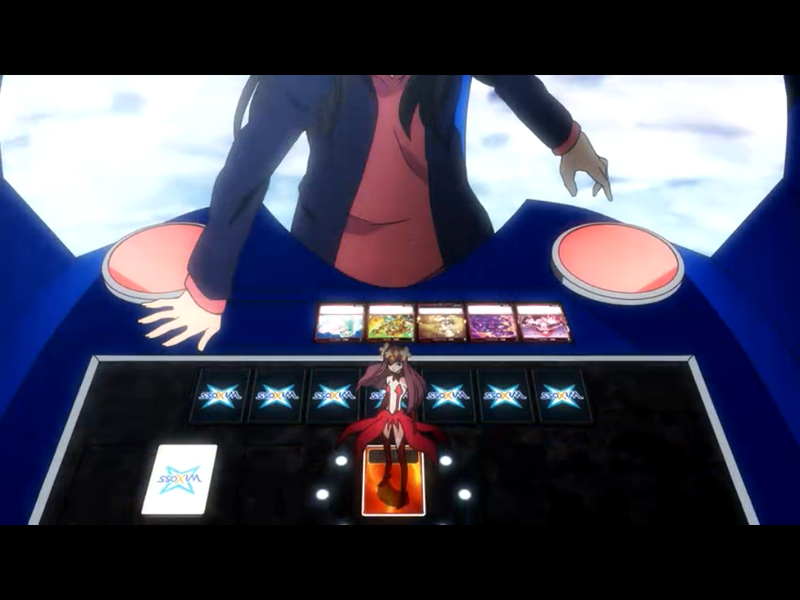 Minding that, the point stands anime take their card games seriously. Let us examine other card battle anime, to see the other ways of how real they can get. Warning, spoilers for series below. Let’s start with probably the most famous one. Playing for souls- It is quickly established in the second episode of the first series how high the stakes are. In that episode Yugi’s grandpa’s soul is taken, and Yugi must now compete in a madman’s tournament in order to reclaim it. As a kid, I didn’t think too much of the situation. It was simple, Yugi needed to win in order to save his grandpa. Now that I’m older however, I can’t help but nitpick and think about how ludicrous the whole situation is. Jesus, someone’s soul is stolen just because one person wants another person to enter a card game tournament. I’d also like to reiterate, a person’s soul was stolen. That’s a fate worse than death when you think about it. You wouldn’t be able to go to the afterlife, and you’re not even in purgatory to face judgement. Yugi’s grandpa is essentially being held hostage, all to force Yugi to enter the duelist kingdom tournament. In fact losing souls actually becomes a common thing as the show went on. See the card played? While the real world counterpart’s text of this card is different, in the anime playing this card literally had the text, “loser loses their soul.” Actually if this internet myth turns out to be true, Konami actually had something like 6 specially printed Seal of Orichalcos cards with the text “loser forfeits their soul.” I guess even the real world is being affected by card game anime. People were even sent to a place called the shadow realm (basically hell) when they lost. I even recall there being one character who was sent to the shadow realm, along with his friends, after losing a duel. Since we never see these characters again, we can only assume the worst. That’s dark, people basically lost their lives. I only say basically because the use of magic in order to cause people to lose their souls is like death, but characters were never explicitly killed. Two Friends and an Anchor-There are however literally times where characters were put into a life or death situation, without the use of magic. Episode 75 of Yu-Gi-Oh is the best example. At this point of the show Yugi’s best friend Joey has his mind taken over by Marick. Marick forces the two to duel, and he sure as hell knows how to make that happen. For this duel, Marick has Yugi and Joey’s legs shackled to an anchor(the duel takes place on a dock). When one of their life points drops to zero, a box below them will then open for the winner revealing a key, which obviously is the key to unlock their shackles. After a minute the anchor will drop and the loser gets dragged to the bottom of the ocean, since apparently there is only enough time for one of them to unlock their shackles. To move the duel along faster, the anchor will drop after one hour automatically, even if no winner is decided by then. During all of this, Seto Kaiba and his brother can do nothing but spectate because Marick has leverage to make sure no one interferes and tries to stop the duel. He straps Tea, friend of Joey and Yugi, to a chair and has a crate suspended above her, threatening to drop it on her if the duel is stopped. These added stipulations just make me shake my head in disbelief, because once again this is all over a freaking card game. Marick (besides getting a magic item) is basically doing all of this in order to get a rare card from Yugi, which I might add Yugi only has because Marick lost it in another duel to him in the first place. Talk about a sore loser. You know there are actually many more things I could point out about Yu-Gi-Oh and other card game anime. I still haven’t talked about WIXOSS either. Though if I did write all of that, it would probably make this longer. So in the interest time (and to give me filler for the next couple of these) I will save it for later.